These were taken while visiting Colorado for the June 2006 GEM conference. 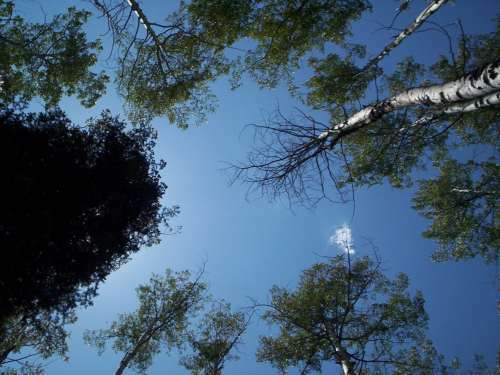 The conference was in Snowmass, near Aspen, with some scenic hikes in the area. The drive from Denver to Snowmass on Highway 70 was also impressive. This view from Snowmass Village shows the ridge to the north. 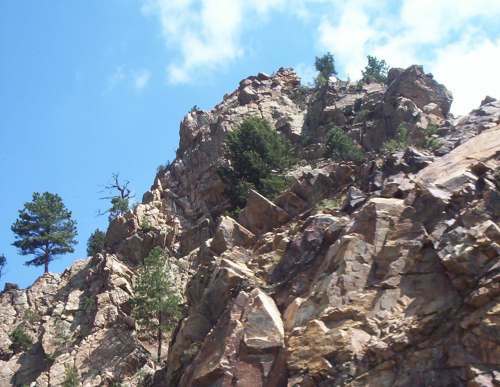 The Rim Trail is along this ridge. 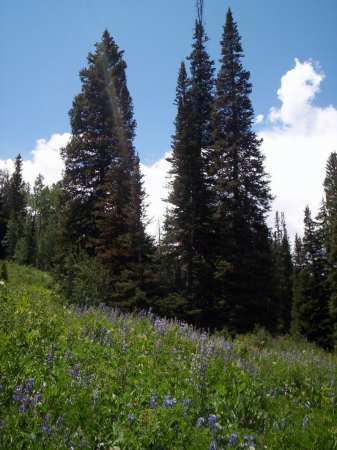 Trees on the Snowmass Village Nature Trail, at the west end of the Village. 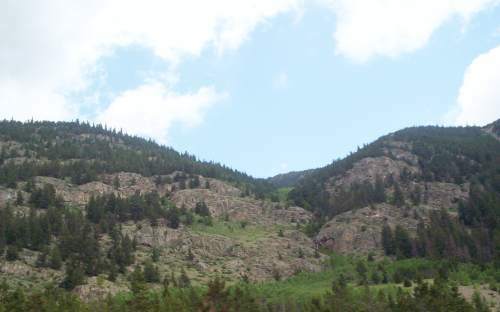 Mountains along Highway 70, east of Dillon. Also along Highway 70, east of Dillon. 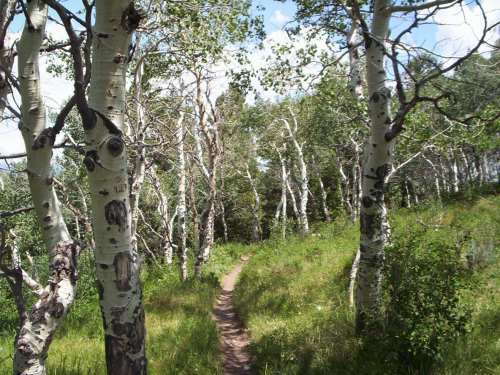 Another view from the Snowmass Village Nature Trail. 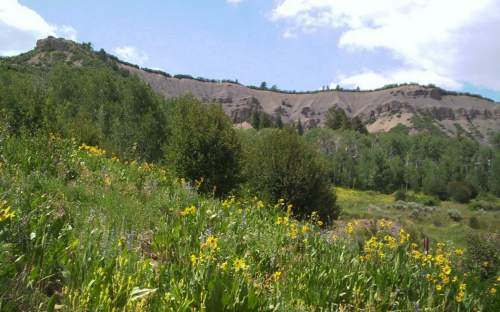 Along Highway 70, west of Dillon. 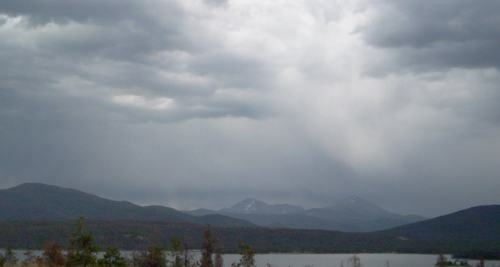 From Highway 70 looking over Dillon Reservoir, between Frisco and Dillon. The community of Dillon was relocated for the construction of this reservoir, completed in 1963. 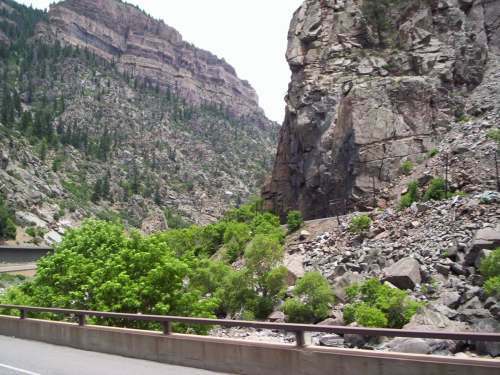 On Highway 70, along the Colorado River in Glenwood Canyon, near Gypsum. From the Rim Trail. 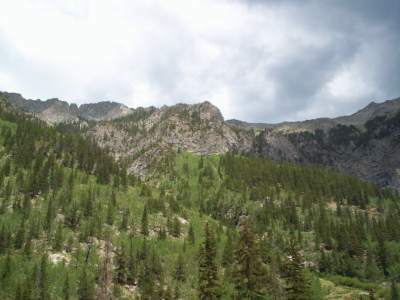 This is a good but challenging hike (about 5 km for the portion I hiked, not counting another 4 km for me to get to and from the trail heads) rising about 150 meters over Snowmass Village. 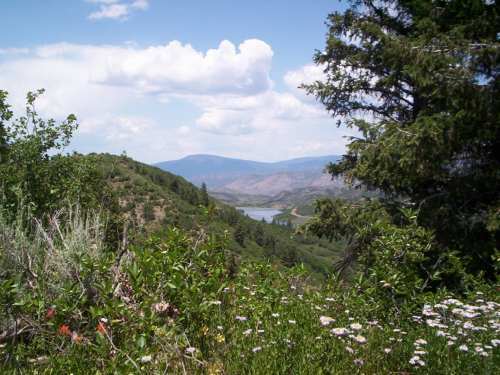 View from the Rim Trail, looking to the northwest towards Wildcat Reservoir. © 2006, 2011 by Wm. Robert Johnston.